The Pennsylvania School for the Deaf (PSD) is a private, non-profit educational institution and regional resource center devoted to serving the broad needs of the deaf and hard of hearing communities in Southeastern Pennsylvania. Founded in 1820 in Center City Philadelphia, PSD is a tuition-free school for 225 deaf and hard-of-hearing children in preschool through grade twelve (12). PSD serves a diverse community throughout the Greater Delaware Valley area. PSD is reimbursed by The Pennsylvania Department of Education for school operating expenses, but must raise money for all enrichment programs, technology needs, and capital expenditures. Through many special grants and charitable donations, PSD is able to support its many activities which benefit our students and the deaf and hard-of-hearing community of all ages. There are many ways in which you can and invest in us and the important work we do for our deaf and hard-of-hearing students and population. PSD gratefully accepts gifts through the Donate button on the top right of this website, as well as by cash, check or appreciated securities. PSD is eligible to receive donations through the United Way of Southeastern Pennsylvania via the Donor Choice program (simply choose campaign #737). We are also eligible to receive donations through the Philadelphia Area Combined Federal Campaign (choose campaign #87714). PSD may also receive matching gifts from employers. Stop by our school and donate in person as we’d love to see you! We are always appreciative for the donations we receive, especially furniture, software, books & playthings! Receipts are provided for all donations. 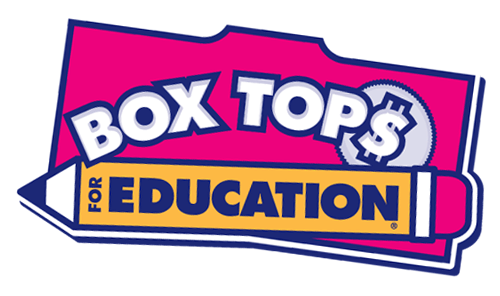 Did you know you can help PSD earn cash simply by clipping Box Tops? Did you know that PSD only receives operating support from the Commonwealth of Pennsylvania? Each year, PSD must raise charitable funds to pay for the many special student programs and other services which are not funded by the State of Pennsylvania. Planned gifts usually go toward PSD’s endowment, but they may also be earmarked to support special school activities if you wish. Sample language for an unrestricted bequest is included below, but our office can also guide you through other options. “I give, devise, and bequeath to The Pennsylvania School for the Deaf, located at 100 W. School House Lane, Philadelphia, PA 19144, or to its successors, (insert dollar amount) Dollars to be used for its general purposes”. Contributions to PSD in tribute or in memory of someone special are a thoughtful way to honor family or friends, celebrate a special occasion, or express sympathy on the loss of a loved one. When you make a gift in tribute, a personalized acknowledgement is sent to the individual or family being honored. The size of the gift is not mentioned but the family receives a listing of donor names and addresses for their personal acknowledgement. Gifts will support the Annual Fund unless otherwise designated by the family. PSD truly values those who lend their time and share their talents with us through service. Serving as a volunteer is another way to give generously to our PSD community. We strive to pair our volunteers with those areas that are of the most interest to each volunteer. We have many departments on campus that can always use a helping hand. Please know that signed communication proficiency is desired and it is absolutely required for all classroom volunteers. Volunteers are required to complete a Criminal History Clearance Form and a Child Abuse Clearance. There is a fee that accompanies the clearance forms which would be the responsibility of the volunteer. Throughout the years, volunteers have been vital to the success of PSD’s mission and vision.